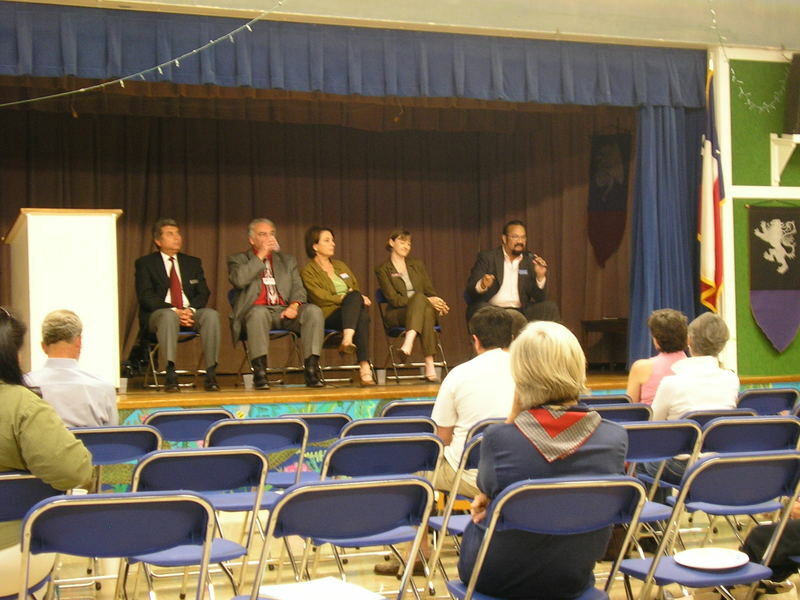 Many thanks to the 5 School Board Candidates for participating in last night’s AISD candidate Forum at Gullett. They are running for non-paid positions that oversee a school district with a budget of over $750 million and make decisions about complex issues affecting diverse interests with an impact on the future – our children. You have got to wonder why they do it and at the same time commend them for their willingness to serve. committment of these individuals seeking a spot on the board. and Alberto Gonzales. Election day is May 13th. Here is a link to a recent Austin Chronicle profile of the candidates. event, and to John Keohane for initiating the forum.